In the United States passport books verifies citizenship and right to re-enter one’s home country such as the United States of America. Passports are non-transferable identification documents that are issued by The United States State Department for the purpose of travel and identification. In the United States the State Department issue different passport books and re-entry documents for various circumstances. In all cases, individuals must use their regular passports for personal travel and special passports for specific applicable purposes. These blue passport books permit personal international travel, and are valid for 10 years for adults, and 5 for minors. 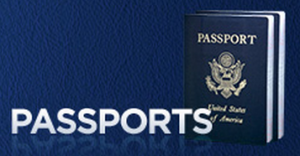 These passport books are issued to United States citizen who are in need of a passport for identification purposes or to travel to an international destination. Also called no-fee passport books, these red books allow international travel for military officers or government employees only while performing official duties. The individual’s governing office provides the forms. Immediate family members honoring U.S. Military personnel deceased overseas can obtain red books with a letter from the American Battle Monuments Commission, and can use it repeatedly only for visiting the same person’s overseas gravesite or memorial. These black no-fee books alert airport personnel to diplomatic immunity status, meaning they may not search, delay, detain or arrest these travelers. Diplomats may only use it when on an active duties. Travelers losing their United States passports due to disaster, carelessness, or theft can obtain emergency regular passports at the U.S. Consulate or Embassy in the country of travel. Issuance requires a new passport application and proof of identity via: personal information, in-country witnesses, stateside family and friends, and previously issued passport confirmation. Stolen property reports are helpful when applicable, as the Consulate or Embassy may refuse to issue replacements if they suspect fraudulent claims. Consulate interviewers rely on impressions of the applicants’ veracity and can issue short-term emergency passports if they suspect but cannot prove fraud. Regular fees apply unless, due to theft of all assets or during disasters, the applicant cannot reasonably be expected to pay. In country U.S. citizens can act on behalf of relatives traveling overseas through the Overseas Citizen Service at State Dept in Washington, D.C. This is not a passport. Lawful Permanent Resident aliens (LPRs) with Permanent Resident Cards (PRCs) can return using PRCs within one year of leaving, or Re-entry Permits within two years. If the LPR resides abroad during that year, the U.S. government may regard that as residency abandonment in the U.S.
My husband and I would like to renew our passport cards for passport books. Can we mail the applications, card and fees together in the same envelope or or should it be in separate envelopes? Can I get pages added to my passport if it’s full? if so, how much is it and what’s the process? what website did you pay $38 on? No, if your passport card is valid for 10 years it will just be a renewal passport and on your DS 82 please select passport book. Can a person get both the book and a card (for convience) when applyng? I filled out the renewal form online for routine renewal. I was prompted to pay $38 via credit card, which I did. What is this for? I’m not finding an explanation anywhere.I’m preparing to mail my application (with photos and current passport) and read that the renewal fee is $110. What is the $38 for? Yes each application has to be submitted with an original copy, “certified copy” of the applicants birth certificate, Photo Id, One picture if it is for a renew/ replace. Two for a New, you will need two, and all applicible fee’s. Unless you are applying for/ being granted, a NO FEE book. Then I think you still just take your original book, application/ Grant and your face. Thats how it was ten years ago. I currently have a passport card, but I need to get the book. Do I still need to bring my birth certificate even though I already have a passport? I have current passport card. Do I need a book for travel to europe? From knowing this from my ex-husband , the red passport is issued to you through your command, and given to you when you are in need of it. What is the cost for the 52 page passport? If you have a passport card, what do or form to use for the book? Add a comment…How apply for New PASSPORT to America.Should I pay for it.pls reply. How much is a passport card versus a passport book for an adult wanting to drive to Canada? Angel Crim You will need at least the Passport card to go on ther Cruise. Chris Johannes HI chris I’m planning a Bahama cruise Do I need the card or the book? You will have to send in your current Passport book to obtain a Renewal Passport. You will get the Passport book back, If you still wanted to use any Visas in your old Passport. Just write a signed letter stating you would still like to use the Visas in your expiring Passport Book. I would make a digital copy before sending it, just in case.. But I read that they DO return your old one, but it just won’t be in the same package. It will come back separately. I Need to re-new my passport but I want to keep my current, about to expire, book so that I can keep the stamped pages of where I’ve been and when. Is there a wasy to get back your old one when you send it in fo ra new one? I have kept my old ones in the past.